Hello again! Today is a really exciting and unusual post! You will never see me wearing false lashes as they look like too much faf, and even though I own bottles of mascara I tend not to wear it all them time. I love my lashes, but have always wanted them to be longer without having to go through the cost of eye lash extensions or any pain! Today I bring you my alternative to getting longer and thicker eyelashes, a way that is easier, pain free and natural. 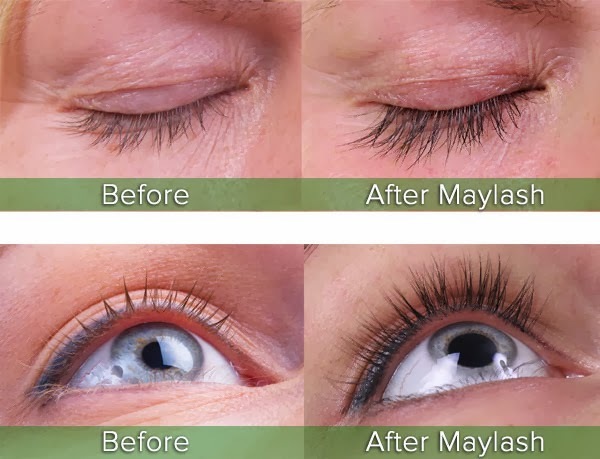 May lash is a natural eyelash serum that needs to be applied to the routes of your lashes, the serum helps with the growth of your natural lashes to make them look fuller and thicker. Many serums are very dangerous for your eyes and lashes because they contain something called prostaglandins, which is a substance that can cause side effects and different health issues. 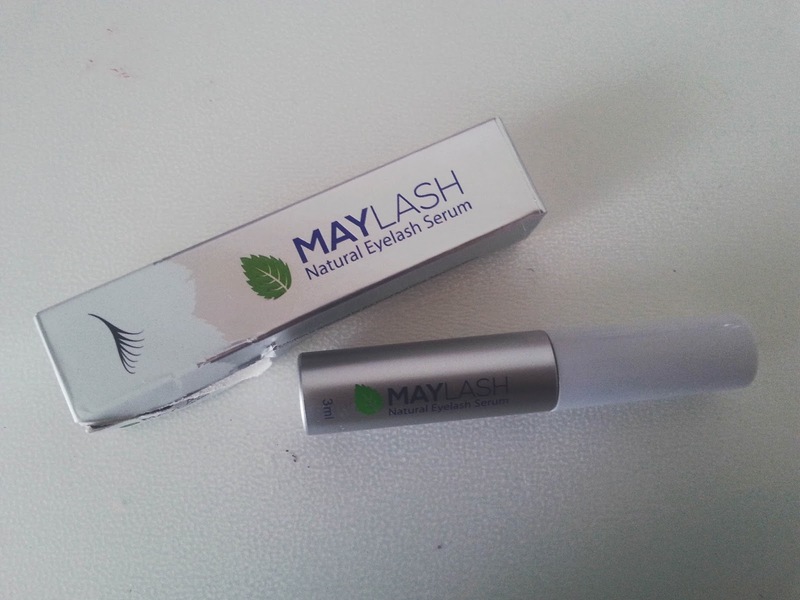 Where as Maylash have created a serum that only contains natural substances! All you do is apply a thin line of the serum on the routes of your eyelashes every night before you go to bed, be sure to remove all makeup before applying and only apply one stroke. You should start to see results after 4-8 weeks, but results and the time it takes varies with different people. At first I didn't know what to think, I had never done anything to my eyelashes so this was a first. Since receiving the bottle of serum in the post I have been applying is every night before I go to sleep. And touch wood I haven't experienced a problem yet, I haven't seen any change as of yet as it won't just happen over night, but when I do I will update you! 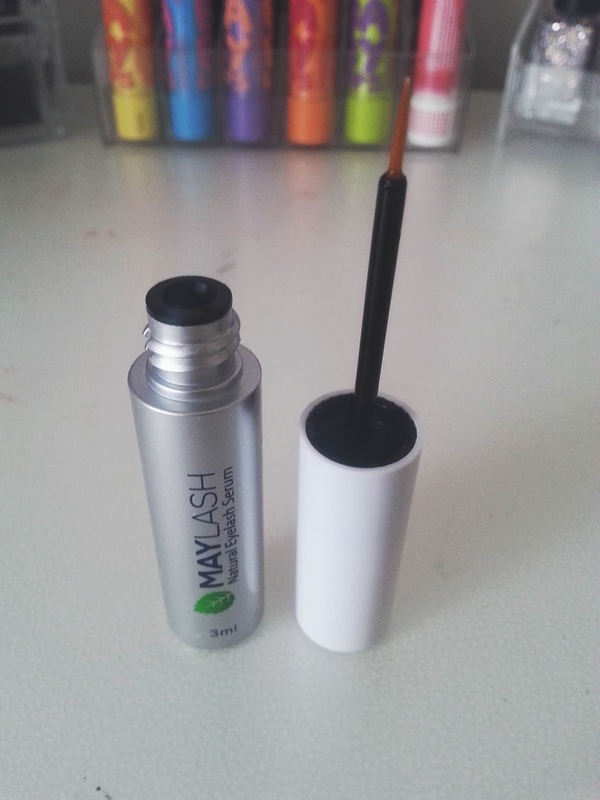 The standard price of Maylash is £49, even though it sounds ridiculous it will be worth every penny in the end I promise you! Here is a exclusive discount code just for you lot, so you only have to pay £34.30 saving you a whopping £14! 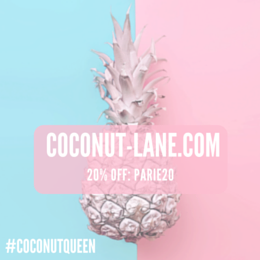 Only available for a limited time, so hurry! Here are some amazing results!